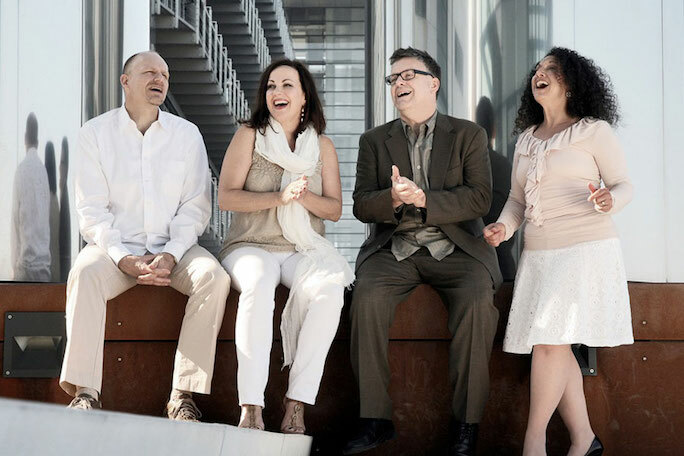 With over twenty-five years of recording and traveling internationally now under its belt, the internationally acclaimed New York Voices continues it’s goal of bridging vocal jazz with elements of pop, brazilian, classical and r&b. The group placed first in the Jazz TImes Critic’s Poll this past year for best vocal group, with the help of their last two albums released last year – their ‘live’ album with the WDR Big Band (Palmetto), as well as their first Christmas album ‘Let It Snow’ (Five Cent Records). The group performs regularly with their trio, but is also indemand with big bands and orchestras all over the world. 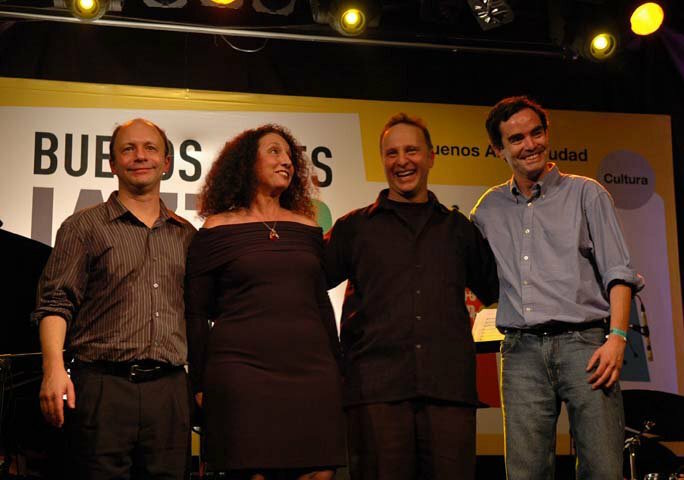 The group has toured and/or recorded with Paquito D’Rivera, Ivan Lins, and the Count Basie Orchestra, among many others. 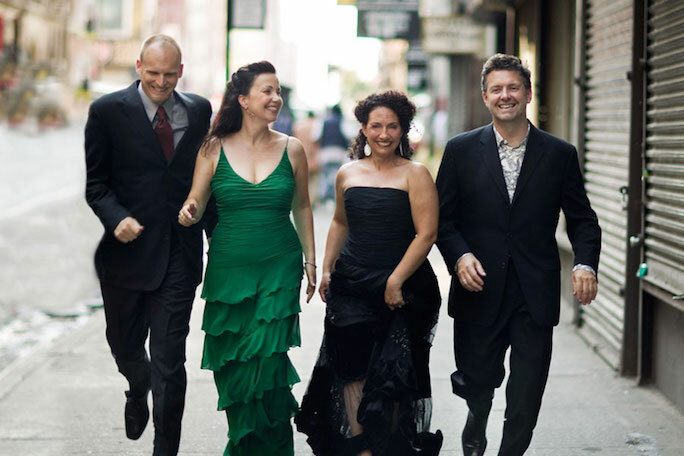 New York Voices is Kim Nazarian, Lauren Kinhan, Darmon Meader and Peter Eldridge. The New York Voices Jazz Festival and is hailed as one of the premier vocal jazz experiences in the country. Each year 12 outstanding college and high school ensembles are invited to perform and receive a clinic from a member of the New York Voices. The event concludes with an evening concert by the Voices with an opening set from the St. Charles North Vocal Jazz Workshop. This is a non-competitive invitational event open to high school and college vocal jazz groups from around the nation. A total of six high schools and six colleges will perform a 20 minute set for members of the New York Voices to be followed by a separate 30 minute clinic with one member. Next year’s NYV Jazz Festival will happen on March 18th, 2017. 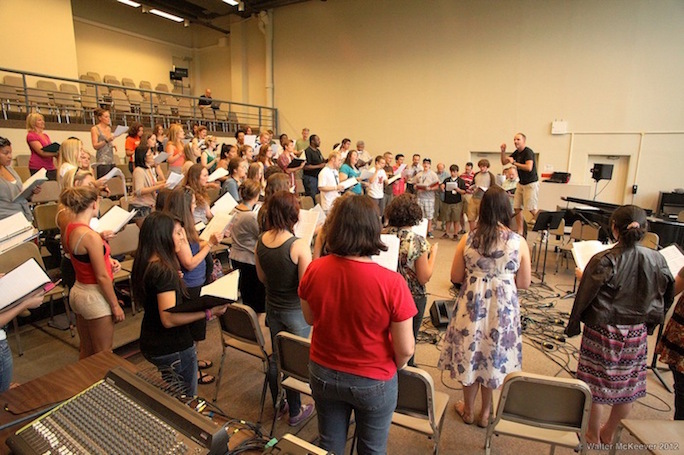 New York Voices hosts an annual vocal jazz camp each summer. Aspiring jazz vocalists have a great opportunity to work and sing with the foremost vocal jazz quartet of our time in an intense six-day workshop setting.This unique camp is open to high school and college students, professional musicians, choral directors and anyone interested in improving and developing their knowledge of the vocal jazz genre. Lauren Kinhan, Darmon Meader, Peter Eldridge and Kim Nazarian will work with singers and ensembles in clinics, ensemble classes, coachings and special interest sessions pertaining to the art and performance of vocal jazz. There are two camps: one takes place in Ithaca, NY and the other is an International camp that takes place in Ptuj, Slovenia. Stay tuned for next summer’s dates. El Eco comes out of the heart of South America. The jazz ensemble led by drummer and composer Guillermo Nojechowicz, combines the sweet swaying tempos of Brazil with some of the darker themes and complex rhythms of Argentina and Uruguay. This is strikingly original music, delivered with strong vocals, percussive drive, and real lyric focus. El Eco gives us music that fuses memory with possibility.